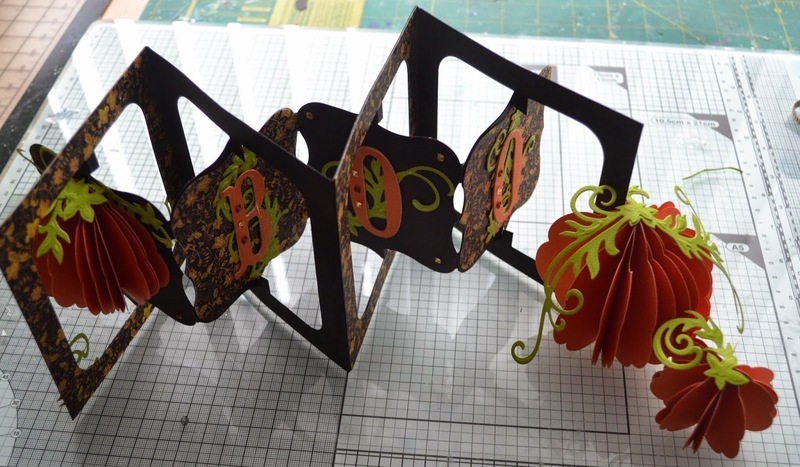 Challenge #125 is Orange and Black, hosted by the lovely talented Jo Rice and sponsored by Marianne Designs. 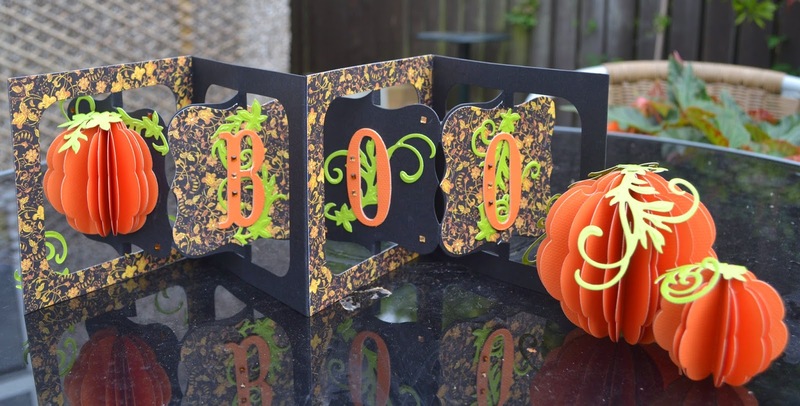 As soon as is I saw the theme I thought of Halloween, which is just a few weeks away now, I always like to have some sweets at the ready for any spooky callers and I thought this accordion card would just brighten up the table in the hall ready for visitors!! It squishes down into a small 5x5 card, a very useful type of card for words, because you can make them as long as you like by adding more frames. 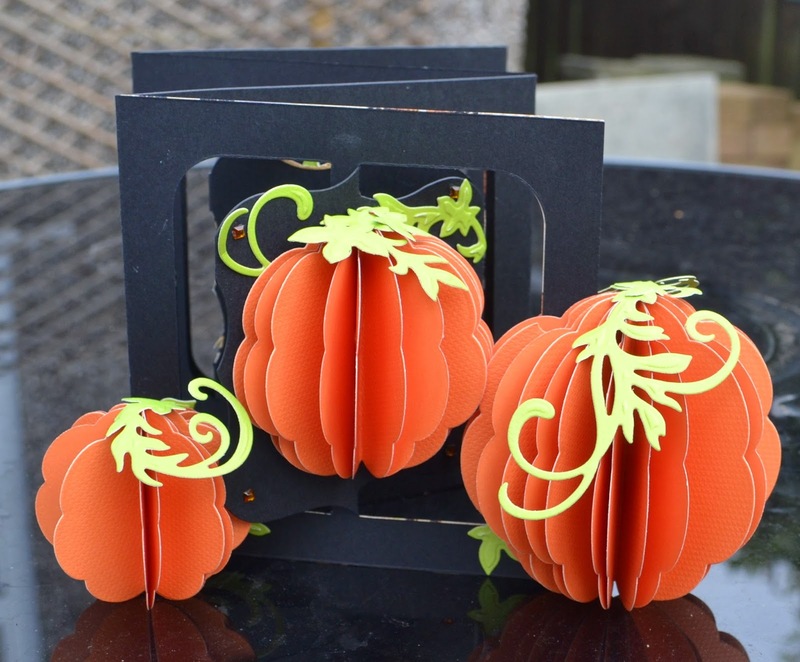 Holy smokes Annie this is such a FABULOUS card...clever idea for making the pumpkins and the stems are perfect!!! I just love this card design!! Have a wonderful weekend Annie!! WOW Annie - stunning design! So creative - I love it!!! This is fantastic Annie - love those fabulous pumpkins! Hi Annie! Please excuse my late comment, but I have to say that this is my very favorite Halloween card ever!! You are so VERY TALENTED! This is absolutely beautiful, unique and outstanding!